Samsung introduced its 2019 Galaxy A-series lineup last month with the launch of Galaxy A10, Galaxy A30 and Galaxy A50 smartphones. The company is expected to launch a few more new A-series smartphones at an event on April 10. 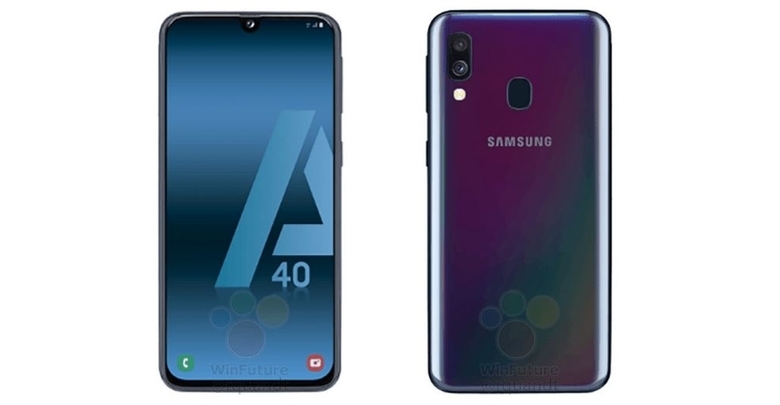 Ahead of the event, multiple press renders of the mid-range Galaxy A40 have leaked online. Thanks to the WinFuture.de report, it is now confirmed that the upcoming Galaxy A40 will sport an Infinity-U display. However, unlike the Galaxy A30 and Galaxy A50, the Galaxy A40 will feature a smaller 5.7-inch Super AMOLED display with Full HD+ resolution. This means the Galaxy A40 could be a good choice for consumers who prefer more compact smartphones. When it comes to performance, the Galaxy A40 is rumored to be powered by an Exynos 7904 octa-core chipset, although Geekbench listings have suggested it may be powered an Exynos 7885 chipset instead. The 14nm mobile chipset inside the Galaxy A40 is expected to be coupled with 4GB of RAM and 64GB of onboard memory. 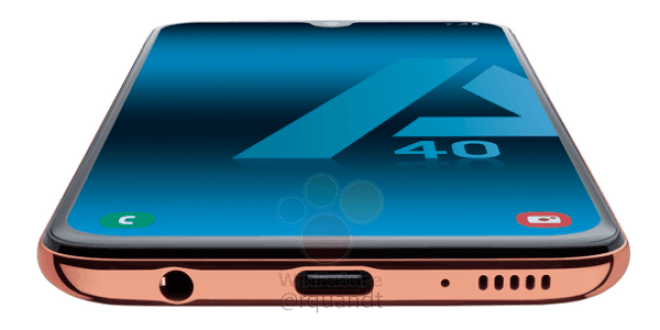 As you can see in the renders above, the Galaxy A40 will have a dual-camera setup as well as a fingerprint sensor on the back. Additionally, the renders confirm the presence of a USB Type-C port and a 3.5mm headphone jack. The smartphone is likely to be available in four colors at launch – Black, Coral, Blue, and White. As for software, Galaxy A40 will be launched with Android 9 Pie-based Samsung One UI right out of the box. The Galaxy A40 may debut at Samsung’s “A Galaxy Event” on April 10. It is being speculated that the main highlight at the upcoming launch event could be the Galaxy A90. In addition to the Galaxy A40 and A90, Samsung will probably unveil the Galaxy A70 and Galaxy A60 smartphones as well at the same event.